Ketchikan plane crash: Holland America cruise passengers, Promech Air pilot dead after crash in Alaska. 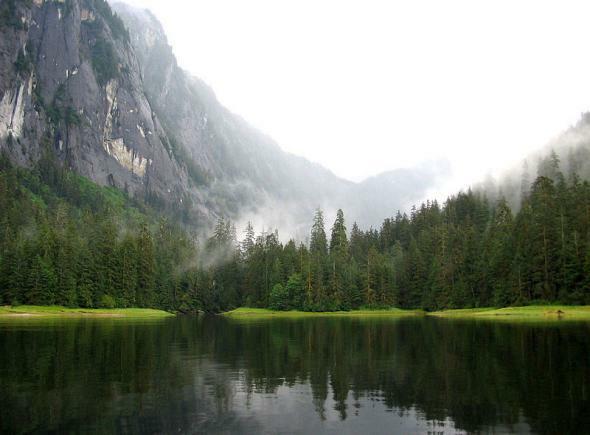 The Misty Fjords National Monument near Ketchikan, Alaska was the site of a plane crash that left nine dead Thursday. Eight passengers from a Holland America Line cruise were killed, along with one pilot, when a DHC-3 Otter floatplane crashed outside Ketchikan, Alaska, on Thursday, the Anchorage Daily News reports. The passengers were on a day excursion from Holland America’s MS Westerdam, which departed from Seattle on June 20 for a weeklong Inside Passage cruise. Promech Air, a Ketchikan-based charter and sightseeing service, operated the plane and said in a statement late Thursday that the cause of the crash remained under investigation. Troopers reported that a Temsco Helicopters pilot spotted the downed plane about 800 feet above Ella Lake against a granite rock face, troopers said. Alaska State Troopers, the Coast Guard and the Ketchikan Volunteer Rescue Squad responded to the crash site. The plane crashed in “an area of steep, mountainous terrain about 25 miles northeast of Ketchikan,” NTSB said in a statement. Holland America released a statement saying that the company was “incredibly saddened by this news” and was “extending its full support to traveling companions of the guests involved,” according to KTUU, an NBC affiliate in Anchorage. The Seattle Times notes that Holland America agreed to an out-of-court settlement in 2005 after 19 passengers on a day trip from one of its cruises died in a plane crash in Mexico. Internal documents, revealed as part of the lawsuit, detailed “numerous complaints about the safety of previous flights” arranged by the company, including a plane door that came off midflight.